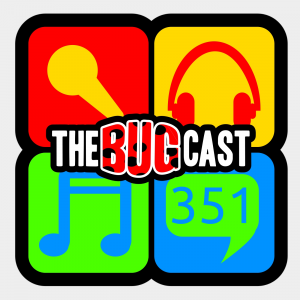 This week on The Bugcast: we talk mainly about the issue of criticising historical accounts based on modern day values, plus we play 8 cracking tracks of Creative Commons music from NevadaRnd, Tyler Gelrud, Rubberdollies, Bert Jerred, Songwriterz, mindthings, Zareen, and Dazie Mae. This week on The Bugcast: political diplomacy, royal ascendancy, finishing the race, and new music from an old favourite, plus we play 8 amazing tracks of Creative Commons music fromThis week on The Bugcast: political diplomacy, royal ascendancy, finishing the race, and new music from an old favourite, plus we play 8 amazing tracks of Creative Commons music from Greyskull Chapel, Martinez, Songwriterz, Forget The Whale, Saint Anyway, Athaleon, I-Maa-Ra, and NevadaRnd. This week on The Bugcast: we feature Carolines’s selection of the best tracks from the past year. Tracks chosen from The TenGooz, General Union, The Johnny Bemole’s, Jet Fish, T Bird and the Breaks, ProleteR, Rattlesnake Deer, YP & Pork, Josephine Sillars, Andy Hawk & The Train Wreck Endings, Boogie Belgique, Sugar Lab, NevadaRnd, Gert Breitenkamp, TheHypnotunez, and Fairy Tales in Yoghourt. This week on The Bugcast: We cover some of the more difficult news stories of the week, and we play 8 cracking tracks of Creative Commons music from Rock in Peace, NevadaRnd, The Easton Ellises, Kate Orange, Fresh Body Shop, Figures In Motion, The Bankrobbers and Ben K Adams.